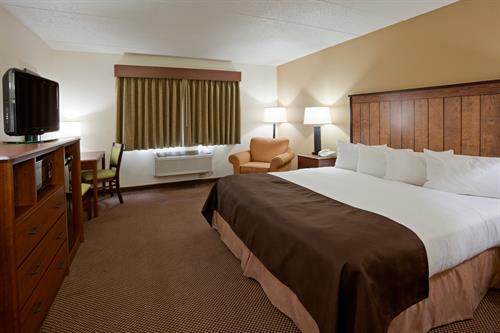 AmericInn Lodge & Suites Two Harbors Near Lake Superior is the perfect starting point for your trip to northeast Minnesota. 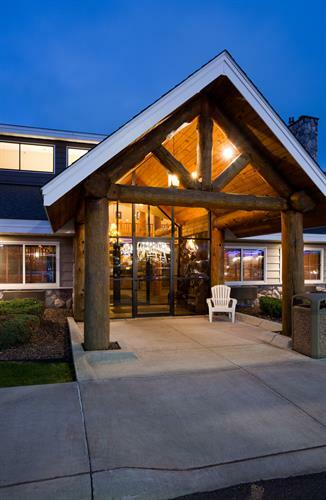 Conveniently located on Highway 61, we’re just a short drive from Duluth International Airport (DLH) and several state parks, including Gooseberry Falls, Tettegouche, and Split Rock Lighthouse State Park. There are also ATV trails nearby, and you’ll have easy access to a snowmobile trail directly from our parking lot. 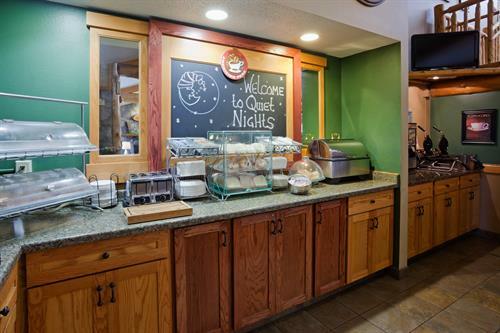 Start your day with a free breakfast featuring eggs, waffles, coffee, and more. 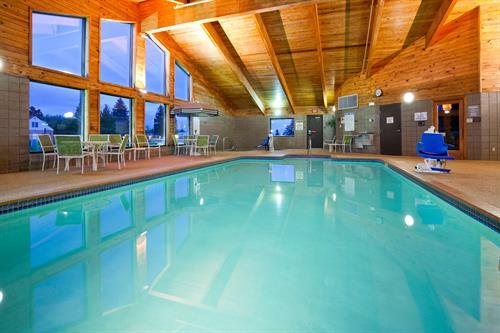 Then take a dip in the heated indoor pool and unwind in our hot tub or sauna. Every thoughtfully appointed guest room features free WiFi, a flat-screen HDTV with cable, mini-refrigerator, microwave, coffee and tea maker, desk, ironing amenities, and hair dryer. You can also upgrade your stay to a suite with a fireplace or whirlpool tub.